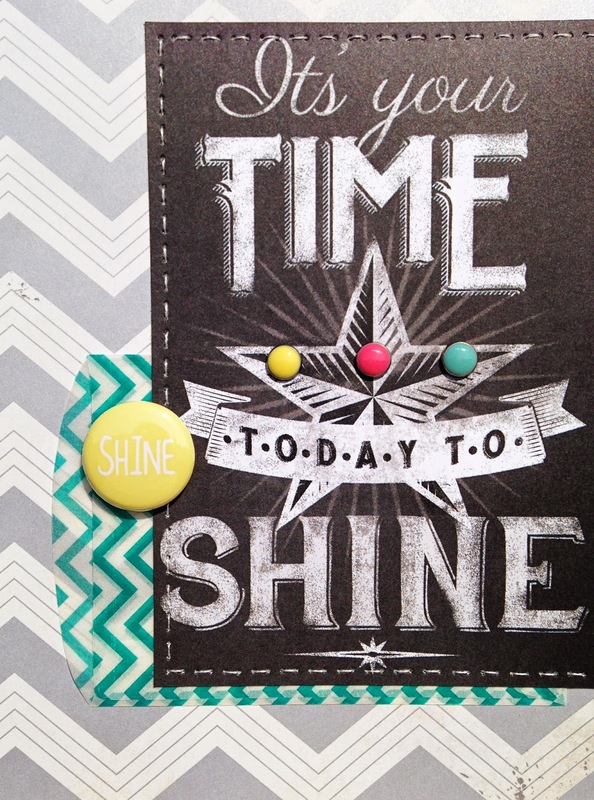 A new issue went up last Monday over at Paper Issues: Pocket full of Sunshine! This issue is all about any kind of pockets, sunshine and rays. Our sponsor this time is Panda Eight Designs, owned by fellow Paper Issues DT member Martha Bonneau and she even created a custom set of flair to go along with our new theme! 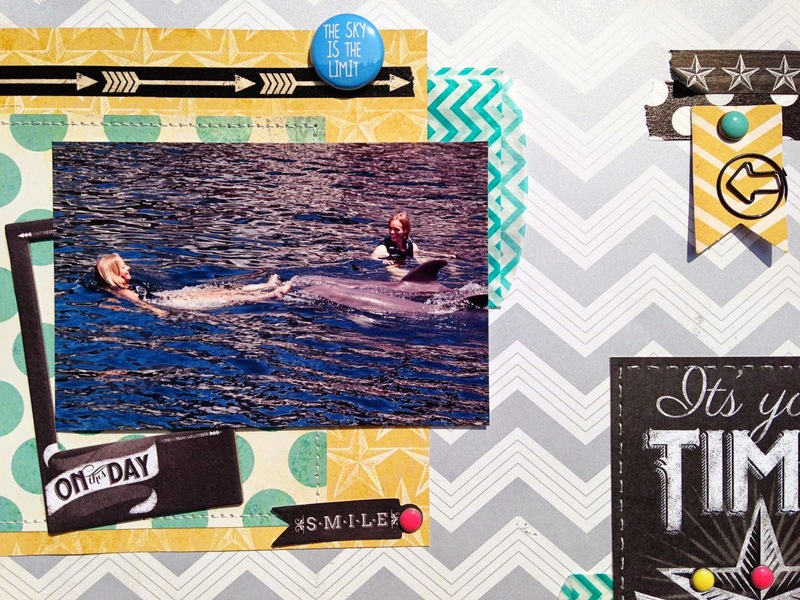 I made this layout for the issue about my dolphin swim on Key Largo and used the MME Record it All Things Chalk collection. I added some of the Panda Eight Designs flair buttons. Link up any project that fits this issue overhere at Paper Issues for your chance to win five sets of flair (of your choosing) from the Panda Eight store!! 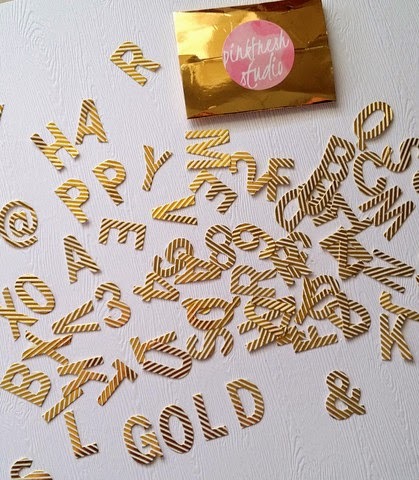 Speaking of exciting things, did you noticed our Paper Issues exclusives from Pinkfresh Studio? These gold & white metallic foil stripe alpha's are a must have! You can even mist them, they take color nicely in between the metallic gold stripes. Grab them in the store while they're still available and use my code DANIELLE20 for 20% off! This must have been such an amazing experience, Danielle! Love the touches of black along with the other colors and all of the little details too! Love love love this! LOVING the colors and those buttons!!!!!! That certainly must have been a very thrilling experience. 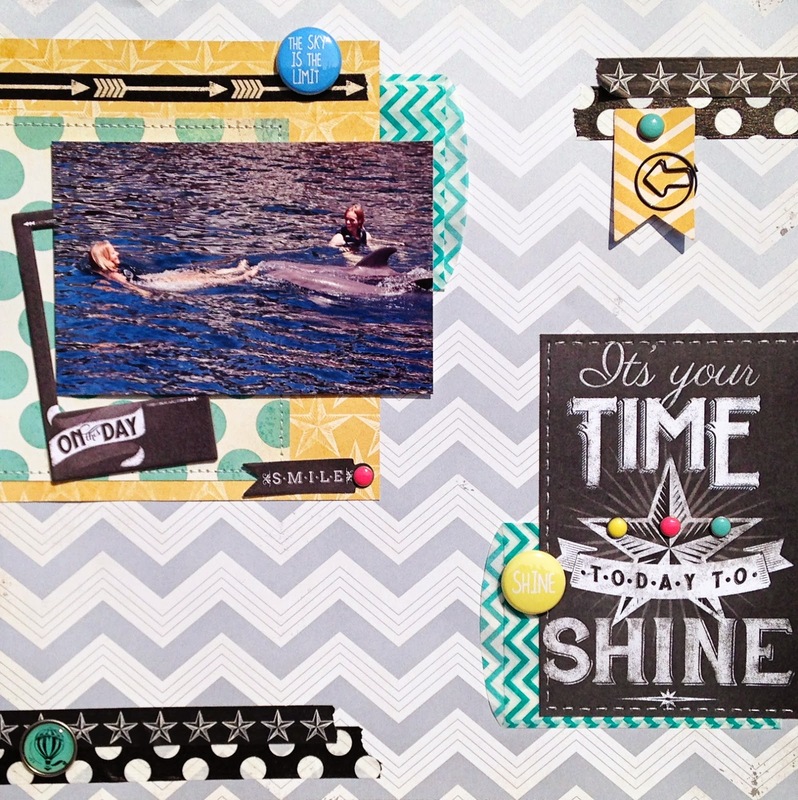 Have to say I love how you used the chevron bags as bits of pp, very creative! oh nooooo... i want that gold white alphas now! lol..